But, this is actually good news! It means Facebook has our backs. They make changes that are best for their users, which is a goal we should share as Facebook advertisers. When we give Facebook users what they want with our ads, we get their business; it’s as simple as that. Facebook has made another change, and this one relates to Facebook Custom Audiences. In a previous blog, we talked about Facebook retargeting and how to create Facebook Custom Audiences for campaigns. Facebook’s privacy crisis has resulted in numerous privacy issues as a result of their regulations about how user data was acquired. Mark Zuckerberg has made a public apology and has promised changes. These changes also correspond with the EU’s GDPR guidelines that have caused all advertisers to reevaluate and better manage the way they go about user privacy. According to CNN, “Your personal information is Facebook’s currency. It’s bought and sold every day.” Facebook has taken a lot of slack lately because it’s pretty scary how much information they are acquiring about their more-than two billion users. Now, they are taking steps to improve transparency. Everyone on a Facebook account must agree to Facebook’s new rules, not just the admin. 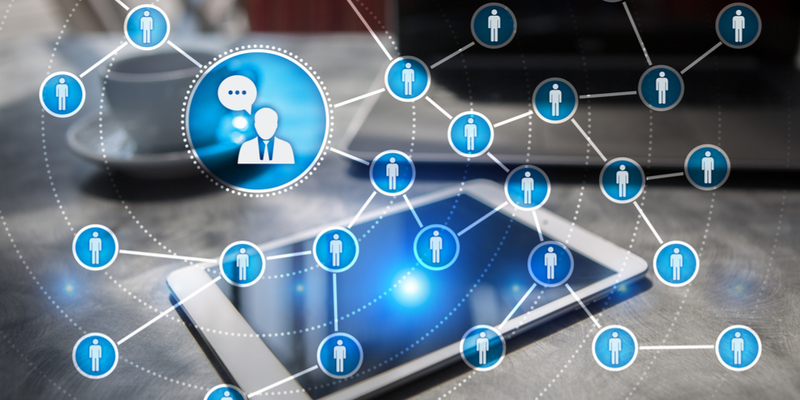 Everyone involved with a Custom Audience list (such as partners and ad agencies) will need to confirm an audience-sharing relationship and agree to the terms within Facebook’s Business Manager tool. These changes bring accountability and transparency, and it will allow Facebook users to understand why they are seeing a particular ad in their newsfeed. “Professionalism” is a completely different concept today than it was 10 years ago. These days, bloggers are becoming more real. Even corporations are reducing the “professional” image and replacing it with a more personal, candid tone. And people like it because it hits home and helps them relate and feel like they are understood. As a result, they come to like the company even more. They want you to show your flare. They want you to be real. They want to know they can trust you by getting to know you in a more candid way than they would from an “old-school professional” company hiding behind the need to always look perfect. As we mentioned in the previous point, suits and ties are out, and “old-school” sales methods are long gone. What’s in is a more relaxed, creative, fun outlook on business. It’s important to look at this point in terms of growth. Old-school professionalism is boring, while real people marketing real companies in a transparent way is fun and engaging. Because transparency and honesty in marketing are in, your company seems dull and antiquated when you don’t promote yourself that way. And if you seem outdated and boring, no one is going to want to do business with you. To grow your company and succeed in business, you need to get clear on your branding, and you need to make sure your branding is personable. When it is, people will read your stuff, share your stuff, and link to your stuff. When you get people engaged like that, your company is sure to grow. People aren’t as trusting anymore. They want authenticity, ethics, and transparent companies and leaders. They demand it because they aren’t kept in the dark anymore. Consumers are smart. How could they not be with all the smart devices they are using? They can get whatever information they want online, and bloggers, YouTubers, and product reviewers certainly make their opinions known. So if a company is trying to hide anything, it’s not likely they’ll get away with it. Expect that people will discover your faults, and be transparent about it. Give them what they want and be real. By being transparent, you’ll gain a following of loyal customers who will want to continue doing business with you because they trust you. When you write a blog, speak in a relaxed tone and be honest about what is going on in your life or at your company. If you teach people how to make money from blogging, tell a story about how you got to where you are now. If you are striving to grow your company by $100,000 this year, outline your strategy in your blog and provide updates. Admit when you mess up and turn it into a positive by expressing what you can do or how you are making it right. Positive statements about yourself are hard to believe, but negative statements are accepted right off the bat. So use honesty and don’t hide your weaknesses, and the good news is that once your shortcomings have been recognized, the positives are easier to believe. The worst thing you can do is try to hide mistakes in business. Instead, view them as part of the journey to growth and share them from that perspective. Then, others will accept them and come to like you and your company even more because you are providing them with a way to learn from your mistakes, while at the same time being more relatable. Employees follow their leaders, so leaders must be transparent themselves, and they must cultivate an atmosphere of transparency within the organization. 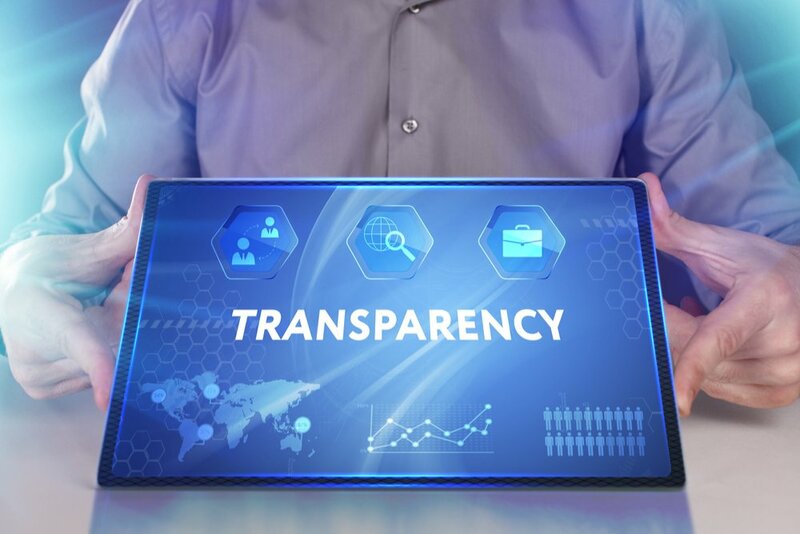 Furthermore, being transparent also means that you are transparent with your employees by demonstrating that you trust them and that you willingly share information with them about the company. Consider showing breakdowns of the costs involved with your products or services, as well as detailed product descriptions that make it very clear what consumers can expect to receive. At Viral Solutions, we make it a priority to familiarize ourselves with Facebook advertising rules. Facebook will literally ban an advertiser for LIFE if they don’t follow their rules, and many other companies follow the same kind of guidelines. For example, Google no longer stands for SEO tactics that are simply trying to trick the system—they want their users to obtain the info they seek right away, not fall on to a listing that isn’t helpful and is only on page one because it tricked its way there. We’re careful to run Facebook ads that don’t make outrageous claims, not just to follow the rules but because we don’t believe in tricking people. We’re big believers in white hat marketing, and we encourage others to do the same. Read through Facebook’s changes about Custom Audiences here. Choose one or two of the ideas we provided for being more transparent and implement them this month. Stay up to date with Facebook’s guidelines. We’ll always provide you with the latest news, so tune into our blog posts on a regular basis to stay informed!